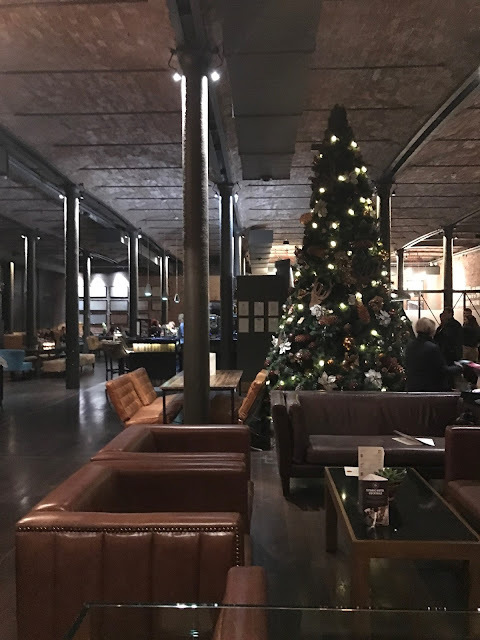 The Titanic Hotel Liverpool is by far the most luxurious yet affordable hotel I have ever stayed in. Having stayed in hotels all over the world (and some far costlier than the Titanic), I can honestly say I have never stayed anywhere that has been this wonderful. 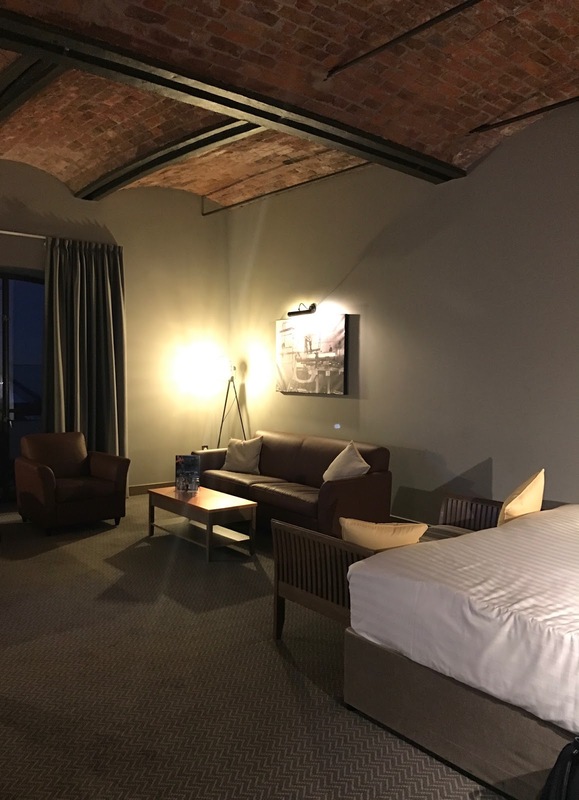 In a prime location, the hotel sits at Stanley Dock and we were only a five minute drive from central Liverpool. On arrival at reception we were greeted by friendly staff and an astonishingly beautiful Christmas tree. 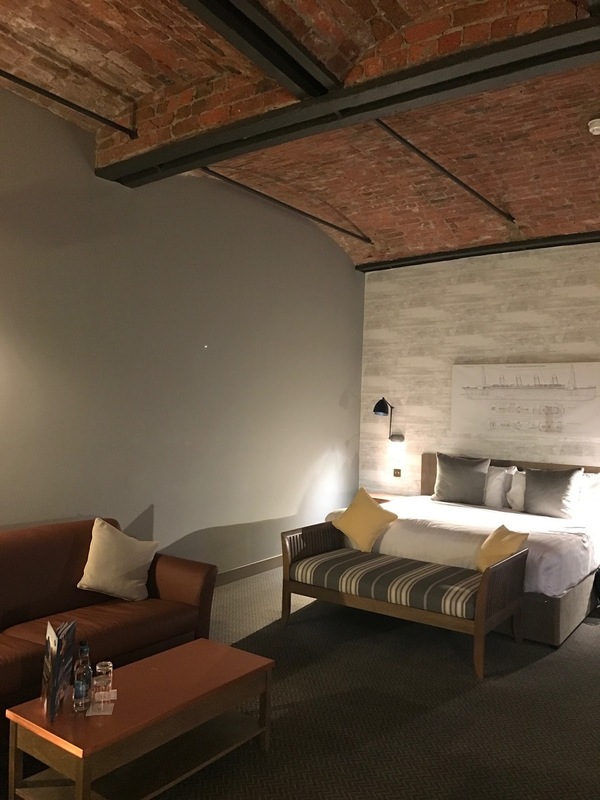 The look of the hotel is almost industrial, yet still modern. Our check in process was swift and we were soon in our room. The room you will see below is a Superior Room, one up from their standard Classic Room. It almost felt like an apartment because of how spacious the room was, with high, sweeping ceilings showcasing a more rugged, brick look. The room was so pleasing to the eye and decorated simply, but it had a very quirky feel. The living space contained a sofa and comfy armchair and opposite we had a flatscreen tv with a coffee machine on the same unit. 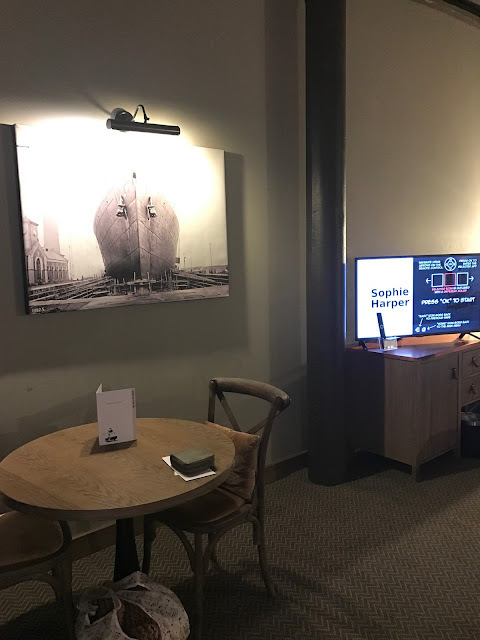 The artwork on the walls felt authentic and showed images of RMS Titanic, because the infamous ship was actually registered at Liverpool docks. There was so much space in the room it almost felt daunting and I even questioned whether it was a Superior room and not a suite! 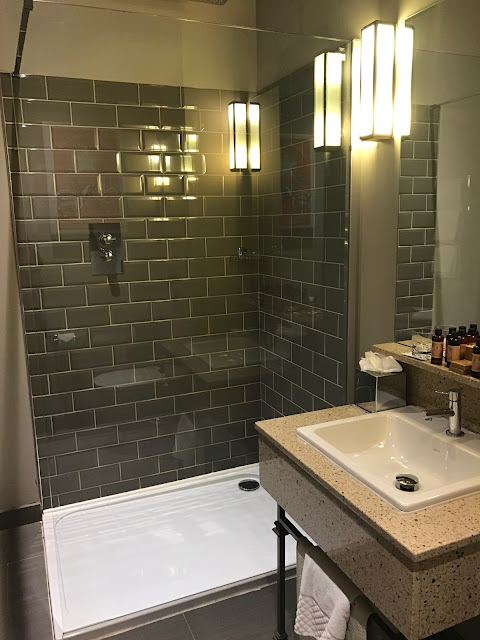 I had the soundest nights sleep and was extremely pleased that the room was blacked out once the lights were switched off, with no annoying little light gaps seeping through the curtains. The rooms are lit by lamps so whilst it felt a little darker, the room was also atmospheric and matched the overall dimly lit space of the hotel. This isn't a criticism however, as the en suite bathroom had ample lighting enabling me to complete my makeup in the brightly lit bathroom mirror. 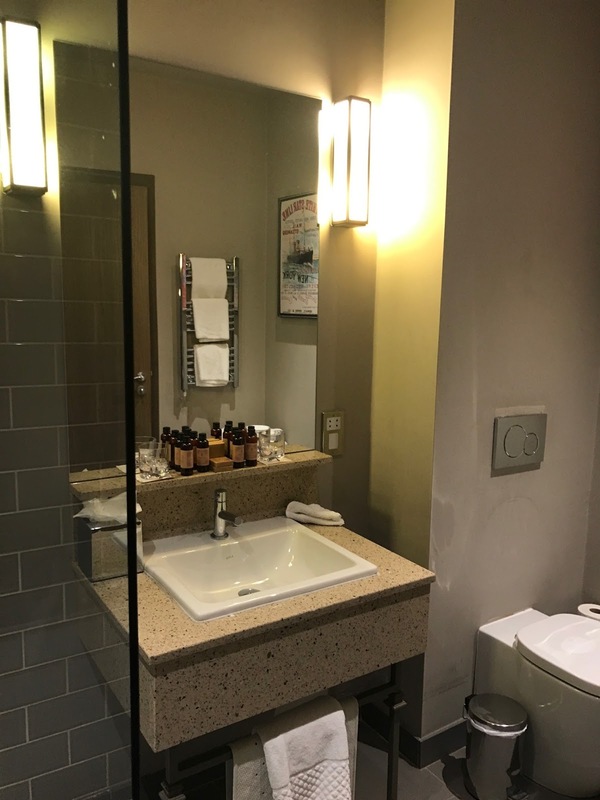 Even the bathroom toiletries were high end, smelt of lavender, felt soft on the skin and not remotely harsh as some hotel toiletries have the tendency of doing. 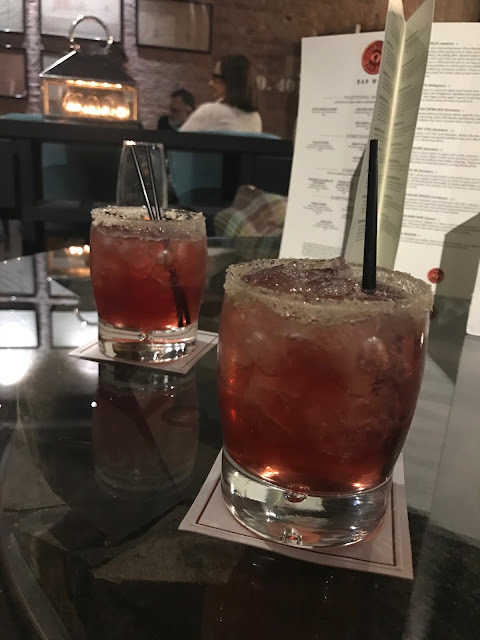 When it was time for our evening meal, we were relieved we had pre-booked at the Stanley Bar Grill at the hotel, as it was rather busy. We had a wonderful three course meal which was part of the festive menu and a lovely bottle of Prosecco on ice. The choice for Vegetarians was also great and our waiter for the evening Gabriel, made it an even more pleasant experience. Breakfast the next morning was equally as impressive, with a hot serve-yourself breakfast, cereals, jucies and pots of coffee or tea. Again, service was swift and friendly but never felt rushed. I should add, the package we had was a festive package and included a festive meal which will of course no longer be available but through the website here you will find offers available. The Titanic Hotel is simply superb and for such a reasonable price, and the service we received was second to none. We were sad to leave but hope to return again soon!